Tis the season to om nom nommmm on Ice-cream till you cool down and want more, more and more!! I asked a dear friend of mine, is there any colour I haven't really used much? And he said I should do a dark red kinda colour and I found the perfect one in my stash! Of course, it reminded me of a berry ice-cream and I just had to do an ice-cream on my accent nail :D and now I want some! 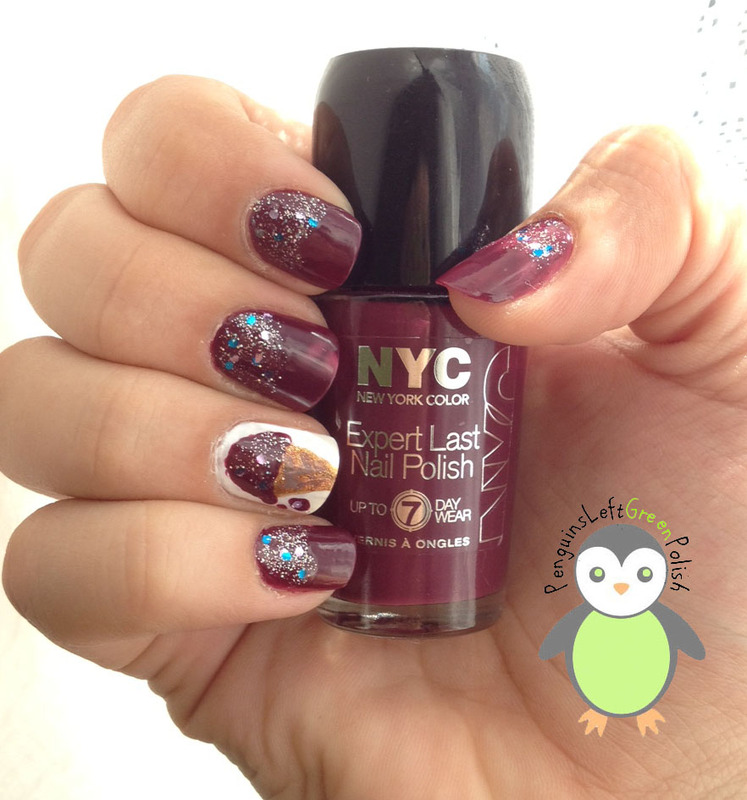 And of course no manicure is done without a crochet item matching! 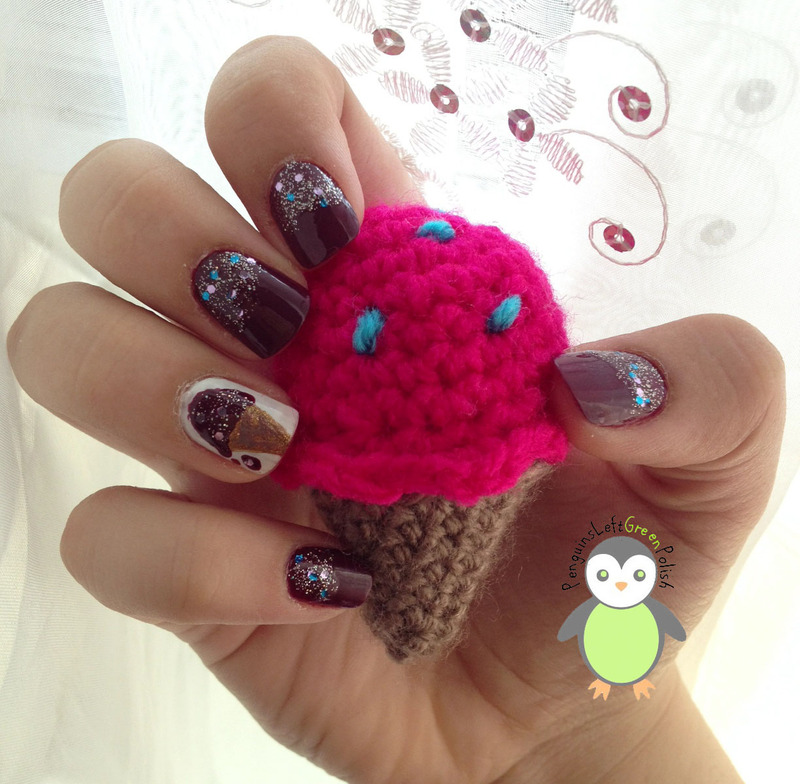 So of course I crocheted a berry Ice-cream!